First part, we installed required components for Cacti. 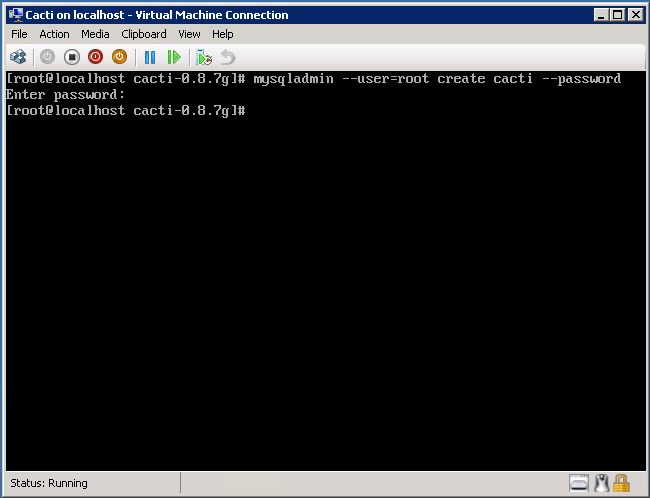 In this part, we’ll install and configure Cacti. After MySQL installation, first we should set MySQL root password. Let’s download latest Cacti release. 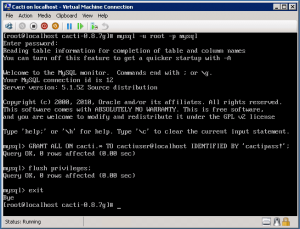 Create the MySQL database for Cacti. 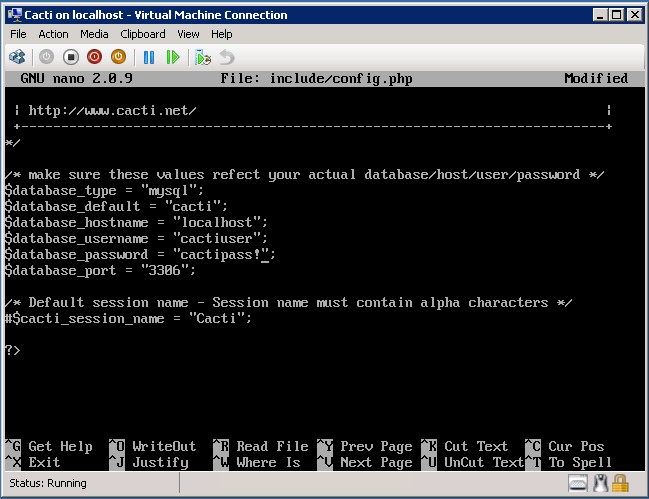 You have to type your root password to create database. 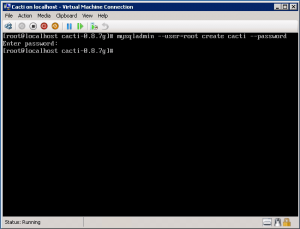 Import the default Cacti database. 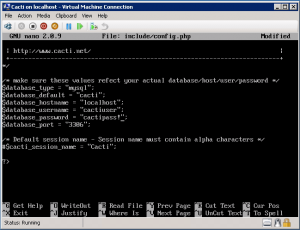 Create a MySQL username and password for Cacti for security reasons. 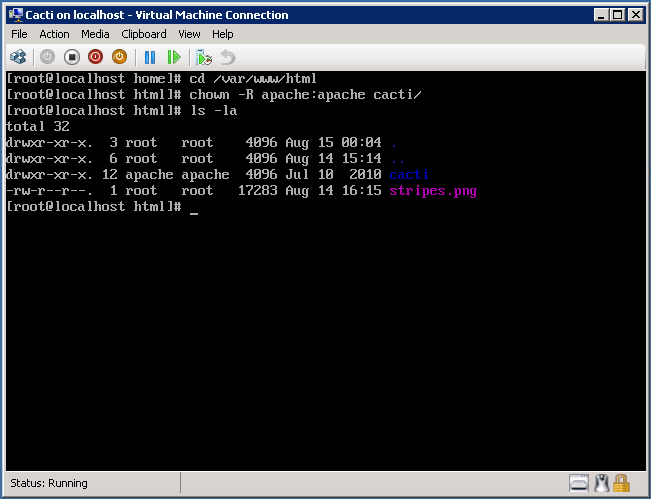 Move Cacti files into /var/www/html for web access. 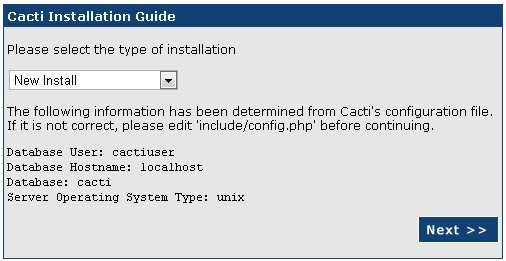 Go into Cacti directory and set the appropriate permissions for graph/log generation. Add a line to your ”/etc/crontab” file. 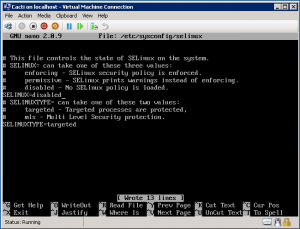 Disable SeLinux to web restrictions. 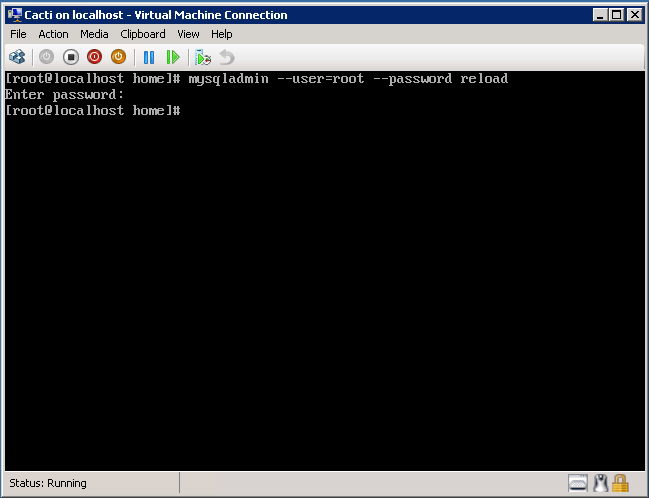 Reboot your server to apply changes. 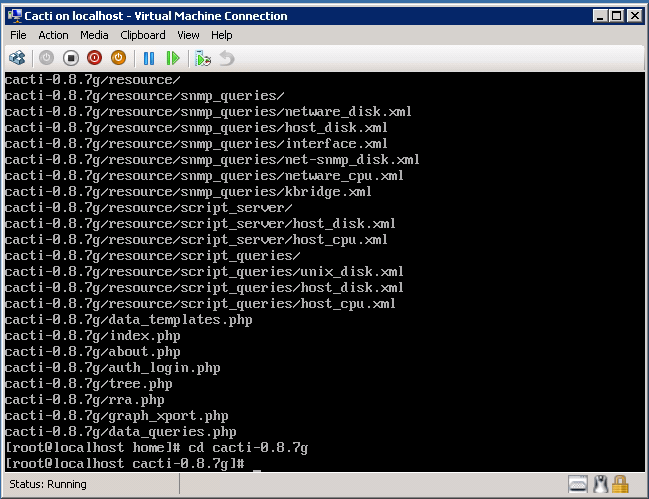 After reboot, go to php.ini configuration and change timezone. We finished Cacti installation. 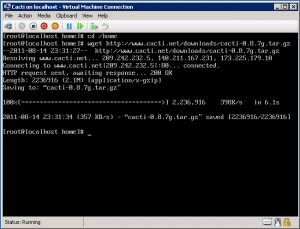 Now go to your web browser and connect to http://yourserverip/cacti. Choose “New Install” and click next. 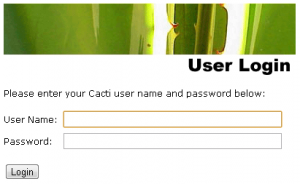 You can login to Cacti with default username and password. After your first login, you should change password. Thank you! I had to install this for a server config class, this tutorial was invaluable!! Excellent. Very clear. Very accurate. Worked with CentOS 6.0. The SELINUX part seemed to require that I edit /etc/sysconfig/selinux and explicitly set it to “disabled” (followed by a reboot). 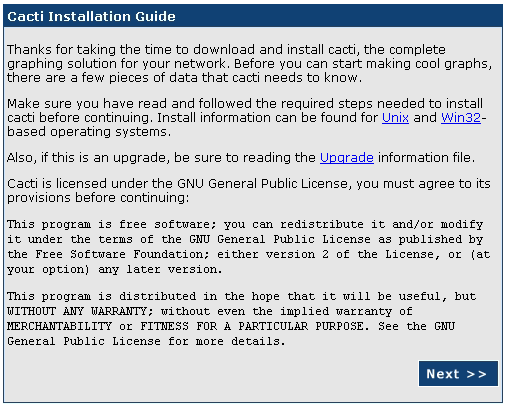 Great tutorial, except I needed to install perl-ExtUtils-MakeMaker for compailing rrdtool on CentOS 6.0. Thank you!!! Thank you. 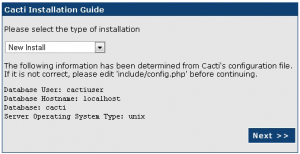 Detail instruction for setup cacti in CentOS 6 and cannot found any problem. 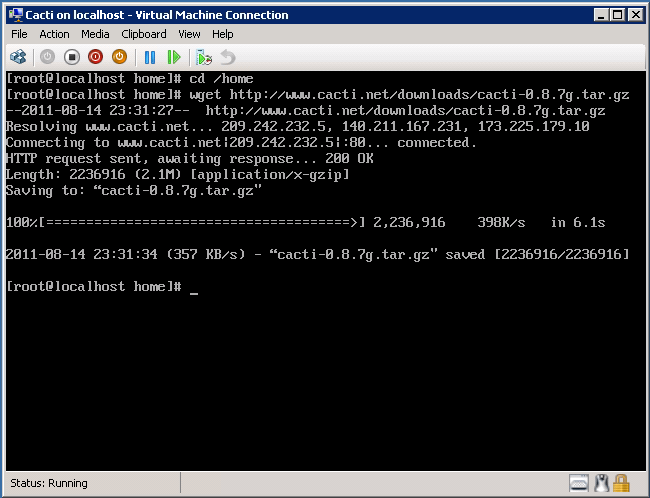 When i go to http://192.168.0.4/cacti it show a blank site. 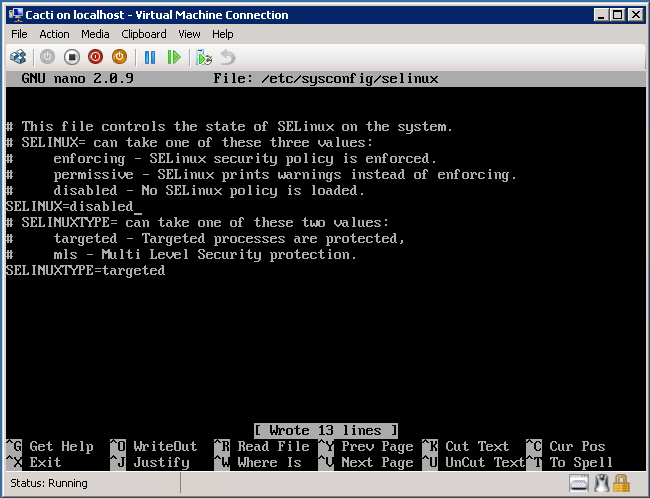 My firewall, selinux was disable. I have problem during RRDtools installation in part one. 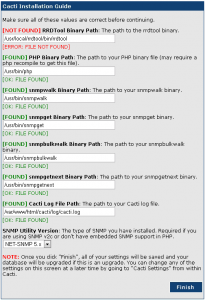 After i hit ‘make’ step after ./configure it show 2 error. Then after i hit ‘make install’ it show (make: *** [install-recursive] Error 1) error. /usr/share/perl5/vendor_perl /usr/lib64/perl5 /usr/share/perl5 .) at ./stripes.pl line 7. Really appreciate if some can share their expertise here since i’m still new in this area. I got same error that John Is experienced..i’m missing the stripes.png as well and exactly the same error message. Thanks for one of the best tutorials I’ve seen. 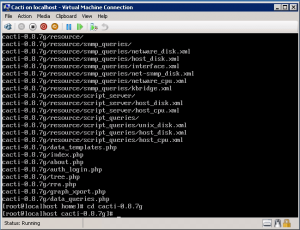 U r awesome….Thanks man i configured with in half an hour without any errors great work and great step by step procedure. Yusuf Hocam, çok güzel olmuş ellerine sağlık.. Thanks for the tutorial, but it seemed that many pieces were incomplete. For example, the make errors were because there is a PHP module that needs to be installed. After I got that installed, and did the make and make install, rrdtool was installed right there in the opt directory (did I miss something?). 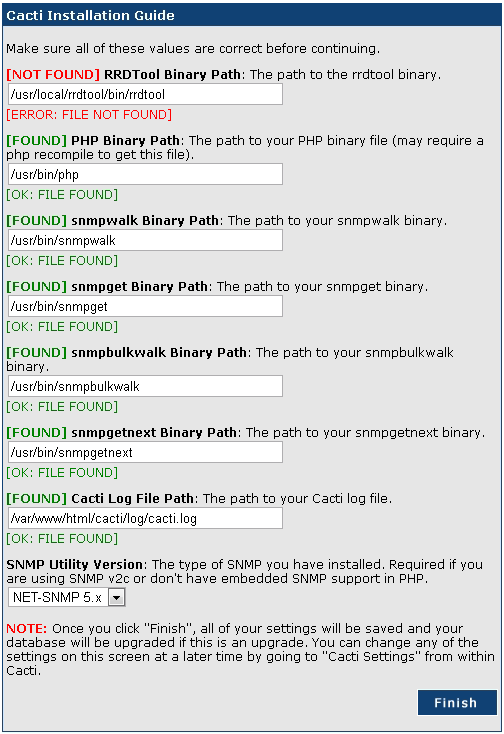 Also, the SNMP utils were not installed by default, and when I did install them through yum they installed to /usr/bin instead of /usr/local/bin. Overall, a great tutorial, and I was able to get everything setup with a few extra Google searches. You might run through your tutorial again though and check for completeness. Thanks! Correction to my comment. I meant to say there is a Perl module that needs to be installed to correct the make errors, not a PHP module. I’ve gone trough this a few times and I can never seem to find the right binary paths for it to work. This is all step by step document. If you’re facing with problems, are you sure that you use same versions and modules with me? Paths and requirements may change and depends on versions you use. I would try same procedure on CentOS 6.2 and LIS v3.2 if you use them. 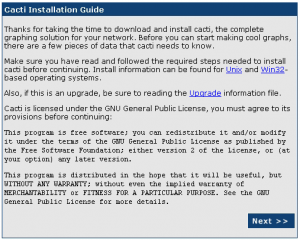 @Josh – Dude…how about sharing what Perl module needs to be installed? I would recommend you add RPMforge/EPEL repossitories and just ‘yum install cacti’. Also, never,ever, disable SElinux, prefered way is to learn to add exeptions to it. Thanks that filled in many of the blanks to the actual cacti documentation! 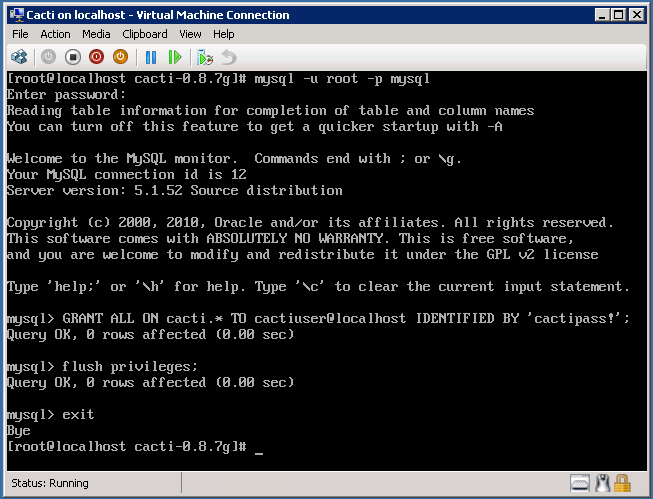 I didn’t need to compile RRD, just typed yum install RRD and it worked..
Also you can’t use cactiuser to run that cron job because it doesn’t exist except as a mysql user. Need to create it with proper permissions for the dirs etc or let another user with the proper permissions run it. Great walk though thanks – having issue though and I believe it is all around mysql. this is the second CentOS 6.3 machine I’ve built this week to perform this Cacti function and I’m crapping out in the same place. seems to be permissions related. I will say this much – at least I’m consistent! How come and how to fix ?